At Rocketship Public Schools, we believe in the infinite possibility of human potential . We believe that every student deserves the right to dream, to discover, and to develop their unique potential. And it is our responsibility and our privilege to unleash the potential inside every Rocketeer we serve. 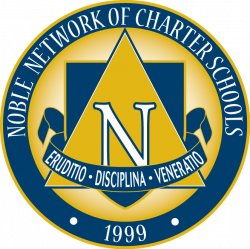 Our non-profit network of public elementary charter schools propels student achievement, develops exceptional educators, and partners with parents who enable high-quality public schools to thrive in their community. Technology Solutions overview While Rocketship has always strived to design innovative, streamlined systems to support our successful growth, we are now for the first time creating a formal function to own this work across the organization. Technology Solutions is being created to do two critical pieces of work as Rocketship scales: Be a central owner of technical systems across Rocketship. Identify and act on opportunities to streamline, automate, integrate, outsource, or otherwise improve systems supporting our central departments and (especially) our schools. Provide IT infrastructure and support that allow our schools (and supporting teams) to thrive, managing risk and providing reasonable boundaries within which to innovate. The Position The Associate Director of Technology Solutions will report to Rocketship’s Vice President of Operations. Partnering with the VP of Operations, this role will set the vision for Rocketship’s systems, partner with schools and central departments to identify opportunities and implement successful solutions driving effectiveness and efficiency, minimize IT risk, and manage our technology resources. The Associate Director will manage the IT budget and a number of outsourced resources responsible for the actual provision of IT services. Essential Functions Innovative Technology Solutions Partner with the VP of Operations to set the vision for Rocketship’s systems, including putting philosophies, guidelines, and policies in place -- and building out and owning our current “systems map” and a forward-looking systems roadmap Work closely with schools and central departments to understand their pain points and priorities – and then use this information to prioritize opportunities across the organization to use technology to streamline, automate, outsource, integrate, and otherwise generally improve the efficiency, effectiveness, and scalability of the work we do. Support teams in addressing these issues in whatever way makes most sense in each situation. In some cases, this could come in the form of lighter-touch “consulting” support on brainstorming solutions, defining specs, or selecting systems. In other situations, it could be full-on partnership in designing, prototyping, piloting, testing, implementing, and supporting a solution. Every project you take on will make people’s lives better, and free up resources to educate children! Sample projects could include: partnering with the Operations and Schools teams to pilot student ID badges with QR codes automating student-facing daily tasks such as taking attendance or partnering with the Schools and Student Information Systems teams to find ways to streamline and automate student data entry and reporting Be a central owner of a few central, cross-functional systems (e.g. Google Apps, Box) – and figure out how we can better use them in our work Information Technology Own the vision for IT at Rocketship, including guiding principles and guidelines/policies for use of internet, staff-issued and “bring your own” hardware (e.g. laptops and ipads), campus technology (e.g. copiers and projectors), and software. Given that we are a network of schools that leverages technology for every student every day, “stepping up our game” in our central vision here has the potential to have a huge impact! Ensure IT infrastructure has the capacity to support all business activity at school and central locations. Oversee IT-related procurement. Implement and maintain asset tracking, inventory, and warehousing/storage systems for IT assets Oversee IT budgets. Provide high level of IT support for schools and central teams, including through hiring, developing, and managing internal and outsourced resources. Manage and minimize IT risk Note: Rocketship has separate teams who own the following topics, so they will not be part of this role: online learning, as an integrated part of our broader personalized learning work; technology infrastructure setup in new schools/buildings (networking, contracts, etc.) Qualifications Skills and Characteristics Deep commitment to Rocketship’s mission, and desire to have an impact in an innovative and high-performing organization. Passion for unleashing potential in all students is a core part of our culture, and a critical value of successful “Rocketeers” across all roles! Ability to be a liaison between those who “speak tech” and those who “use tech” Passion for creative problem-solving constant improvement -- not satisfied with the way things are but constantly thinking about how we can improve things Deep belief in user-centered design, with an eye for setting up systems and processes that are user-friendly, especially for school employees Overall interest and skills related to technology, natural systems savvy, and eagerness to learn more about this area. (As you’ll see below, an actual technical background would be a huge plus for this role – but we are flexible on exactly what this looks like!) Strong project management skills and ability to manage diverse stakeholders in a fast-paced environment Ability to communicate effectively in person, via videoconference, and via email across multiple regions Must be a good listener and enjoy collaboration with teammates with diverse opinions and backgrounds Education Background and Work Experience Bachelor’s degree required, with a degree in engineering preferred though not required Master’s degree preferred, including MBA or MPA 7+ years of work experience in a role related to either engineering or project/product management. However, we are flexible on the exact type of technical/technology experience – if you think you have a background applicable to this role, you just might! An ideal candidate would have comfort with computer programming (e.g. ability to read code and write scripts to automate repetitive tasks) and fluency with data formats and data exchange protocols (including CSV, XLSX, REST web services, webhooks, etc.) However, these skills can be brought to the team in other ways if the Associate Director doesn’t have them personally An ideal candidate would have experience working in/with schools. In absence of this, an eagerness to dive right in and spend time in our schools to understand their operations would be critical. Physical Demands: The physical demands described here are representative of those that must be met by an employee to successfully perform the essential functions of this position. Reasonable accommodations may be made to enable individuals with disabilities to perform the functions. While performing the duties of this position, the employee is regularly required to talk, hear, and communicate with both adults and children. The employee frequently is required to use hands or fingers, handle or feel objects, tools, or controls. The employee is frequently required to stand; walk; sit; and reach with hands and arms. The employee must occasionally lift and/or move up to 50 pounds and occasionally climb ladders. Specific vision abilities required by this position include close vision, distance vision, and the ability to adjust focus. The noise level in the work environment is moderate to high. Compensation: Commensurate with qualifications and experience, plus excellent health and welfare benefits, 403b retirement plan, flexible spending account (FSA), and generous paid time off. Rocketship Public Schools provides equal employment opportunities (EEO) to all employees and applicants for employment without regard to race, color, religion, gender, sexual orientation, national origin, age, disability, genetic information, marital status, amnesty, or status as a covered veteran in accordance with applicable federal, state and local laws. Rocketship Public Schools complies with applicable state and local laws governing non-discrimination in employment in every location in which the company has facilities. This policy applies to all terms and conditions of employment, including, but not limited to, hiring, placement, promotion, termination, layoff, recall, transfer, leaves of absence, compensation, and training. Rocketship Public Schools expressly prohibits any form of unlawful employee harassment based on race, color, religion, gender, sexual orientation, national origin, age, genetic information, disability, or veteran status. Improper interference with the ability of Rocketship Public Schools’ employees to perform their expected job duties is absolutely not tolerated. Click here for our Sexual Harassment Policy and here for our Title IX Policy . For questions, concerns, or complaints, please contact Equity/Discrimination Title IX Compliance Officer, Email: [email protected] Address: 350 Twin Dolphin Drive, Suite 109, Redwood City, CA 94065. Phone: 877-806-0920 ext. 115.